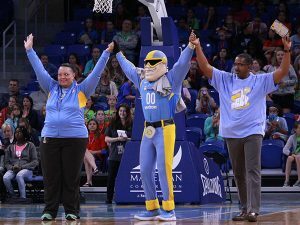 Over the years our players have achieved various on-court accolades, and they have been supported and cheered on by a group of people who are integral to our organization’s success, our loyal Skyriders. 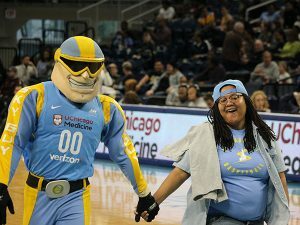 Our Skyrider Members exemplify what it means to be a part of the Chicago Sky family and their support and dedication help us reach new heights on and off the court and continue to show the world what’s possible. 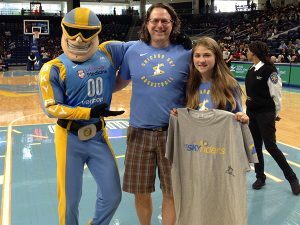 As part of the Sky’s Membership Program, we will continue to honor one special member as “Skyrider of the Game” at home games this season. This Member will be recognized on court and will be featured on sky.wnba.net for all fans to see. These nominees will culminate in the selection of our “Skyrider of the Year” winner that will be announced and recognized on court at the September 3rd game. To nominate a Member for the “Skyrider of the Game” award please complete the form below before July 28. For questions or for more information please email tickets@chicagosky.net.